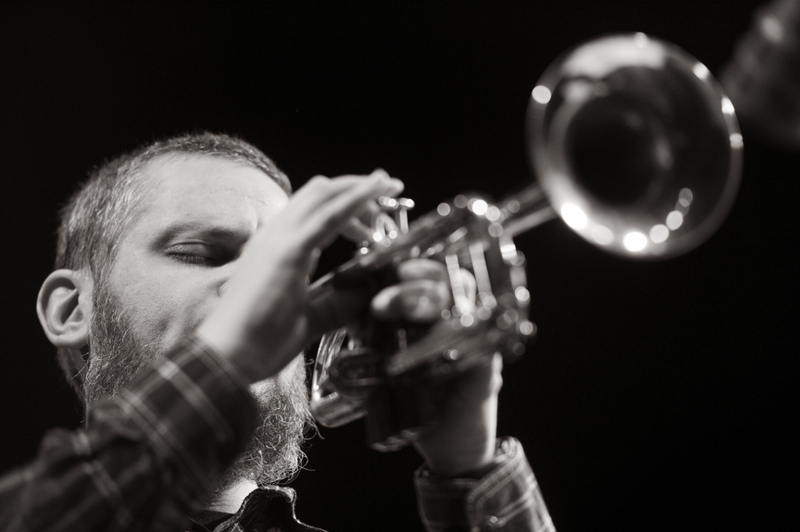 Nate Wooley (b. 1974) grew up in Clatskanie, Oregon. He began his professional music career at age 13, performing in big bands with his father, before studying jazz and classical trumpet at the University of Oregon and University of Denver. He settled in New York in 2001, and maintains an active schedule in jazz and experimental music in the US and abroad. 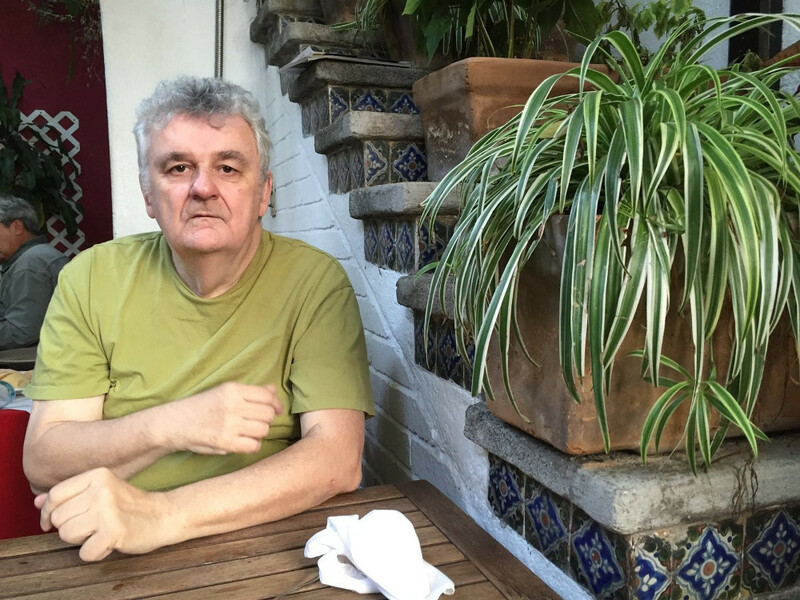 His work as an interpreter, improviser, and composer exists within the contemporary conjuncture of contemporary classical, jazz, noise, and electronic music. 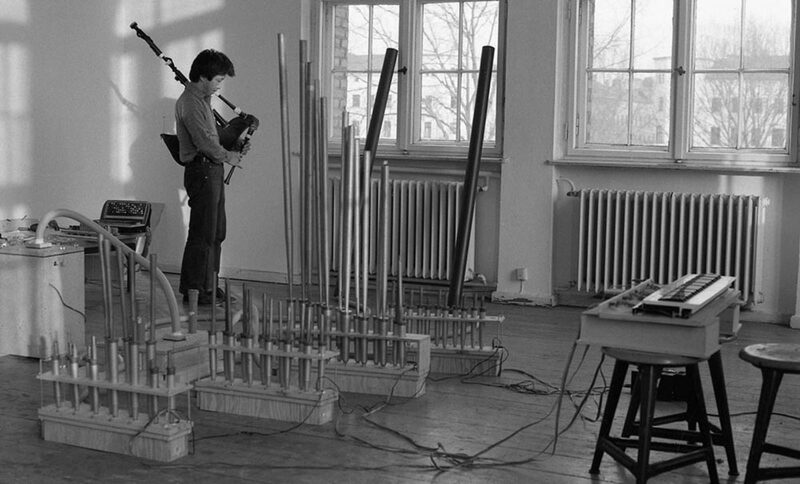 While a large part of his work has consisted of solo improvisation and composition, he has collaborated with Anthony Braxton, Éliane Radigue, Annea Lockwood, Yoshi Wada, Christian Wolff, Wadada Leo Smith, and others. Wooley has performed as a soloist or commissioned composer at SWR Donaueschingen, Musica Polonica Nova, Wroclaw Jazztopad, Festival International de Musique Actuelle de Victoriaville, A’larme Berlin, Music Unlimited, and numerous international jazz festivals. He has been an artist in residence at London’s Café Oto and Brooklyn’s Issue Project Room. He was a 2016 recipient of the Foundation of Contemporary Arts Grants to Artists Award in Music/Sound. Wooley is the founder of the For/With Festival which commissions and premieres works created through collaboration between composer and perfomer, all with an emphasis on radical timbral techniques and improvisation within composition. Wooley is also the editor of Sound American, an online journal intended to provide demystified information on contemporary experimental music to its readership with the intention of expanding and perpetuating a base audience for the radical and avant-garde. He is currently the curator of the Database of Recorded American Music and teaches at the New School for Social Research. 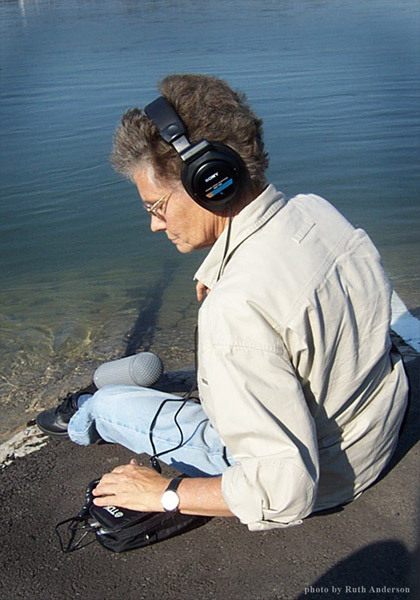 Peter Hannan has completed more than 60 commissions, both acoustic and electronic for widely diverse musical situations, including pieces for the Vancouver Symphony; the Winnipeg Symphony, the CBC Orchestra and the Pacific Baroque Orchestra; works for the experimental large ensembles Icebreaker (London) , the Hardrubber Orchestra, and Toronto based Hemispheres. His piece for the Vancouver Symphony, side with entropy received a raucus reception at its premiere in March 2005. Writing for singers is a major interest. His recent recording of vocal music Rethink Forever, won “Best Classical Recording” at the 2011 Western Canada Music Awards. This interest in writing for singers also extends to opera. A very fruitful and inspiring collaboration of recent years has been with the director and playwright Peter Hinton. Hannan and Hinton have created three new opera/music theatre works together . 120 Songs for the Marquis de Sade opened in Vancouver in March 2002, and The Diana Cantata appeared in February 2003, both works produced by Modern Baroque Opera . A new work Beautiful Beast which was commissioned by the National Arts Centre is currently in development. Hannan also wrote the music for Peter Hinton’s 2006 production of The Duchess of Malfi at the Stratford Festival of Canada. As a performer, Hannan spent many years performing as an electronic instrumentalist and recorder soloist, in particular with Toronto composer Henry Kucharzyk in the duo PHH!K. He has performed as a soloist on many major new music events and series including : Ijsbreker Amsterdam, the Holland Festival, Almeida Festival, Freunde Guter Musik Berlin, the Bourges Electronic Music Festival, New Music America, New Music Concerts and Arraymusic. Straddling the worlds of experimental, folk, chamber, early & medieval music, performer/composer Laura Cannell is a unique and important artist whose original and singular vision sets her apart from her contemporaries, whilst her music exists as a culturally vital exploration of the link between medieval, traditional and modern musical idioms. As founder of the independent record label Brawl Records and creator/curator of the Modern Ritual performance series, Laura has built an impressive and nurturing platform for the release and performance of music that sits outside of the contemporary mainstream. 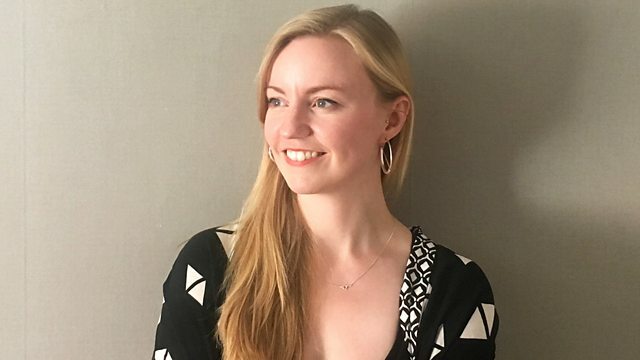 Now based in rural East Anglia, Laura’s semi-composed, semi-improvised compositions draw on the emotional influences of the landscape and explore the spaces between early and experimental music that is rooted in but not tethered to the past, but rather forges a new space for her minimalist chamber music. Laura has released five albums since 2014, successfully carving out a unique path with her work, receiving critical acclaim from the contemporary music press and regularly being included in numerous Album of the Year lists (including The Guardian, MOJO, BBC Radio 3’s Late Junction, The Wire and The Quietus). Yoshimasa “Yoshi” Wada (born November 11, 1943), is a Japanese sound installation artist and musician living in the United States. He lived in New York City for many years but now lives in San Francisco, California. Born in Japan, Wada joined the Fluxus movement in 1968 after meeting George Maciunas. He also studied with the North Indian vocalist Pandit Pran Nath. Wada’s works often incorporate the use of drone and are usually performed at very high volume, allowing for the overtones within the sound to be heard very clearly. He frequently performs his own compositions, which feature much freedom of improvisation, on Scottish highland bagpipe and voice, and also employs a number of homemade instruments. These include “pipe horns” (very long horn-type instruments made from metal plumbing pipe) as well as large reed instruments involving multiple bagpipe-like pipes connected to a large air compressor; due to their appearance, Wada named these latter instruments “Alligator” and “the Elephantine Crocodile”. His music has been scarcely released on recordings, having seen only two LP releases, on the India Navigation (1982) and FMP labels. Lament For The Rise and Fall of Elephantine Crocodile, The Appointed Cloud and Off the Wall were reissued by Japanese labels EM Records and Editions Omega Point in 2008.